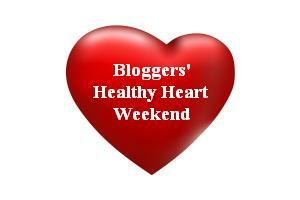 Lori from Finding Radiance is hosting a Healthy Heart Weekend. The idea is to challenge yourself to do some sort of activity this weekend to promote heart health. I had heard about the Healthy Heart Challenge from a few blogs that I read. I am so glad to have discovered Lori’s site as a result and I signed up to take place in the challenge. If you haven’t read Lori’s story please do as it is very inspiring. My goal was to run a solo 5K in under 30 minutes. I jumped out of bed this morning and got ready to run. There was a light snow falling outside. I love running in the snow! Off I went. 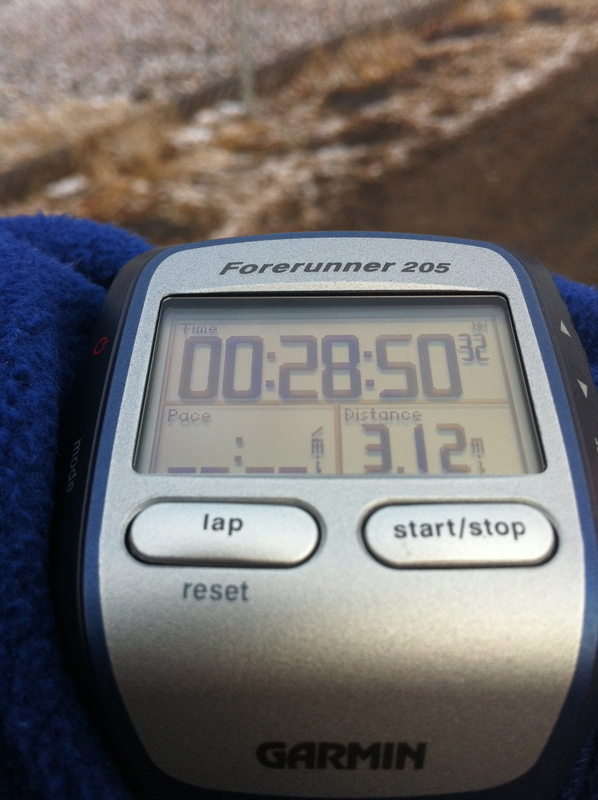 I kept my pace under 6mph and finished strong. I rocked my challenge. I felt great. I’ve been working on improving my speed for my upcoming 10K and I’ve been seeing some progress. The snow didn’t amount to much but you can almost catch a glimpse of the light dusting on the ground behind my arm. Did anyone else take part in the challenge? If not what kind of activity did you do today? The day isn’t over yet so get out there and give your heart a little love. Enjoy the rest of your day Aimee! Great job Aimee! I haven’t done too much today, I have a pretty nasty cold right now. I’ll probably jump on the treadmill for some walking later since it’s pretty gross outside. I hope you feel better soon Sam. I was fighting a cold last week. I drank lots of those fizzy generic Airborne tabs and tea. I think it’s finally run its course. No activity today for me as I woke up with a cold! Hope you feel better Kaye. Hi Aimee! You really keep good paces for a long time! On Saturdays, I race myself on the elliptical (hands off the machine) and keep track on the times. I use level 7 and 10 inclines, interchanged every minute, and keep the resistance at 8. Yesterday, for 15 minutes, I did 1.62 miles, which is 6.48 miles per hour. But, as you know, this doesn’t really translate to running paces. Every elliptical is different, but I use the same machine for each race. Further, I was completely worn out by the end. If I would have continued, I would have had to *drastically! * drop the pace. So, in many ways, it is not comparable to running much longer times, such as you do. But, I still am very pleased with myself when I am done. And it does greatly benefit my heart health. Thanks Lori! It was fun and a great motivation to push myself.